Senior research scientist for the Laboratory of Forest Genetics and Breeding at V.N. Sukachev Institute of Forest, Russian Academy of Sciences, Siberian Branch. Krasnoyarsk Agriculture University Faculty of Ecology and Biotechnology (2000). PhD in Botany the Laboratory of Forest Genetics and Breedingat V.N. Sukachev Institute of Forest, Russian Academy of Sciences, Siberian Branch. (2004). Shilkina Е. А., Oreshkova N. V., Ibe А. А., Deych K. O., Krutovsky K. V. Development of Cytoplasmatic SSR-markers for Population Genetic Studies of the Siberian Stone Pine (Pinus Sibirica Du Tour) Siberian Journal of Forest Science. 2014 №4 pp. 21-24. K. V. Krutovsky, N. V. Oreshkova, Yu. A. Putintseva, A. A. Ibe, K.O.Deych, E. A. Shilkina Preliminary Results of De Novo Whole Genome Sequencing of the Siberian Larch (Larix sibirica Ledeb.) and the Siberian Stone Pine (Pinus sibirica Du Tour) /Siberian Journal of Forest Science. – 2014, №4. – pp. 79-82. 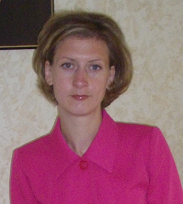 N.V. Oreshkova, A.Ya. Larionova, L.I. Milyutin, A.P. Abaimov Genetic diversity, structure and differentiation of Gmelin larch (Larix gmelinii (Rupr.) Rupr.) populations from Central Evenkia and Eastern Zabaikalje // Eurasian Journal of Forest Research. - 2006. – Vol. 9-1. N.V. Oreshkova, A.Ya. Larionova Gene diversity and differentiation of Siberian larch (Larix sibirica Ledeb.) populations in the Middle Siberia // LARIX 2007: International symposium of the IUFRO Working group (Larch breeding and genetic resources) «Integrated research activities for supply of improved larch to tree planting: tree improvement, floral biology and nursery production». – Quebec, 2007. – P. 33-38. 2012-2013, research project "Genome-wide study of Siberian larch" from the Ministry of Education and Science of the Russian Federation (Measure 1.5 of the Federal Program "Scientific and scientific-pedagogical personnel of innovative Russia") (researcher). 2013-2015, Ministry of Education and Science of the Russian Federation: a grant to conduct research under the guidance of leading scientists (RF Government Resolution № 220) "Genomic studies of the main boreal coniferous forest tree species and their most dangerous pathogens in the Russian Federation" (the researcher).